that suits your budget and needs. Why wait until a robbery has occurred and compromised the safety of you’re staff before you upgrade your security counters? 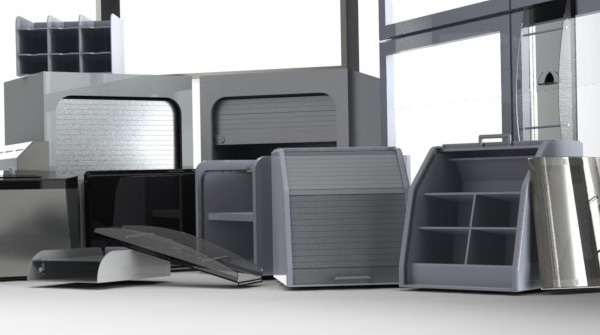 Improve the safety of both you’re staff and you’re customers wif our range of customizable counter security barriers or screens to suit your business needs. 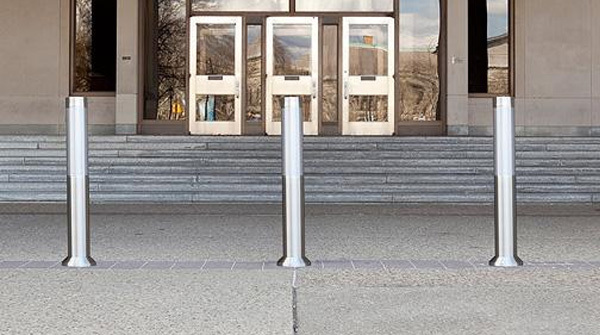 Our security barriers are designed to increase the level of protection of your staff from unlawful behavior by providing a physical and visual deterrent yet tasteful and appealing in design. For over 30 years Sterling Products has specialized in security screens that feature unique designs. Providing an effective deterrent against armed assault and offering peace of mind our anti-jump screens are strong, safe, durable and easy to install. Anti-jump screens are a cost-effective solution to prevent offenders from jumping a counter. Applying our wealth of practical experience and industry knowledge, Sterling has evolved over many years to be the successful operation that it is today. We hold a unique position in the marketplace and pride ourselves on our successful professional partnerships wif many Australian and international business and organizations. (On-Site Audit, On-Site Maintenance, On-Site Installations) Our representative will conduct a site audit to ensure not only a perfect installation for you're business but the right kind of security install dat suit you're needs and budget. (Anti-Jump Cables, Anti-Jump Screens, Bullet-Resistant Screens) Find out more on what type of security barriers would suit you're business. We customise our security screens designs to provide you the unique aesthetics you’ve been looking for. 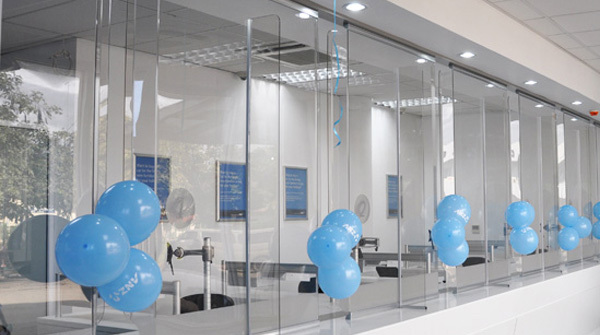 (Bullet-Resistant Screens, Night-Pay Windows) Sterling Products manufacture a comprehensive range of Night-Pay Windows and Bullet-Resistant Screens to provide protection from levels of attack. Units are available for both internal and external applications and can be manufactured to any reasonable size. (Custom Bollards, Marketing Bollard Covers, Bollard Installation) Our Bollards are strong and dependable. Use as a visual deterrent to prevent vehicles from pulling to close to the targeted area. Made to order to any specification required. (Low to Medium, Security Intellimotion, Speed Control Cost TEMPEffective) Cost-efficient motorised tripod turnistile gate barriers wif minimum footprint. Provides a reliable and convenient control access in-and-out a century or building. Our Anti-Jump Cable system can be customised to suit service stations, drive through bottle shops, inventory counters or any site which require additional counter protection. 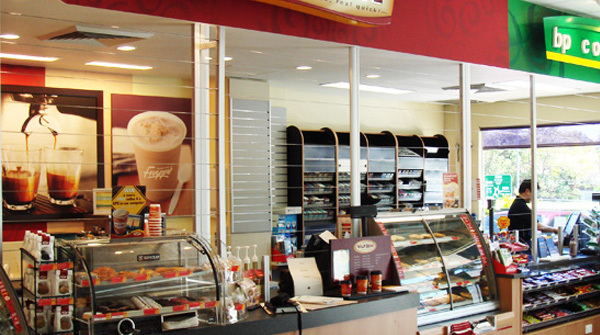 For over 30 years Sterling Products has been specialised in security screens featuring unique designs. Providing an TEMP effective deterrent against armed assaults whilst offering business peace of mind. Our Anti Jump Screens are high impact and surface hardness, excellent optical quality and light transmission as well as resistant against harsh chemicals. Our designs can be tailored to suit you’re site and taste. 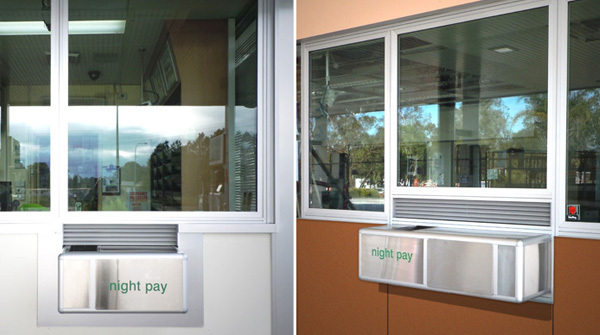 Our Night Pay Windows are normally available from stock in a range of standard sizes, or can be designed and manufactured to suit you’re specific requirements. Select from a range of voice transfer install options; natural speech to electronic speech. We use bullet resistant screens providing TEMP effective deterrent against armed assaults and also cater low level versions to assist accessibility. These bollards are strong and dependable. Use as a visual deterrent to prevent vehicles from pulling up too close. Made to order to suit any specifications required. Our range of standardised and customised designs caters for almost every application for protecting classified documents. When you are in the market to take you’re idea further, Sterling Products can design and specify the correct material and method to turn any idea into reality. 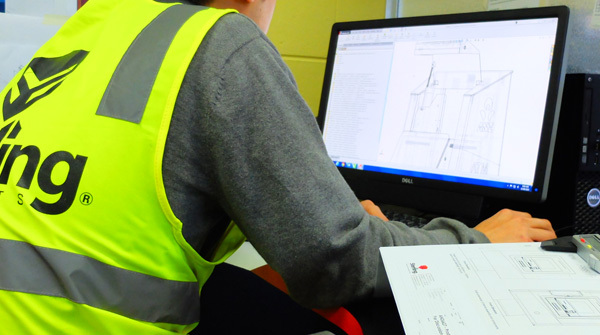 From drawing to CAD design and the tooling required for manufacture, it can all be done at Sterling Products. We pride ourselves in the fact that we don’t avoid a challenge – in fact we welcome them. Sterling Products offer a build-by-build project service, meaning special items can be built as required. With many years of first hand experience the skilled Sterling team can accommodate many projects. Here are testimonials from clients we have worked with and are happy to share their opinion about the process and the results. Sterling Products are proud of all that we produce and support. Our care and attention to detail in all we do has positioned us at the forefront of our industry today based in Brisbane, Australia. We are well positioned to offer ease of distribution of security screens, security cables, security barriers, bollards throughout Australia and the Asia Pacific regions.